Welcome Aboard Team Kidscan, Oliver Johnson! Kidscan announces new patient ambassador after recently undergoing acute lymphoblastic leukaemia treatment. 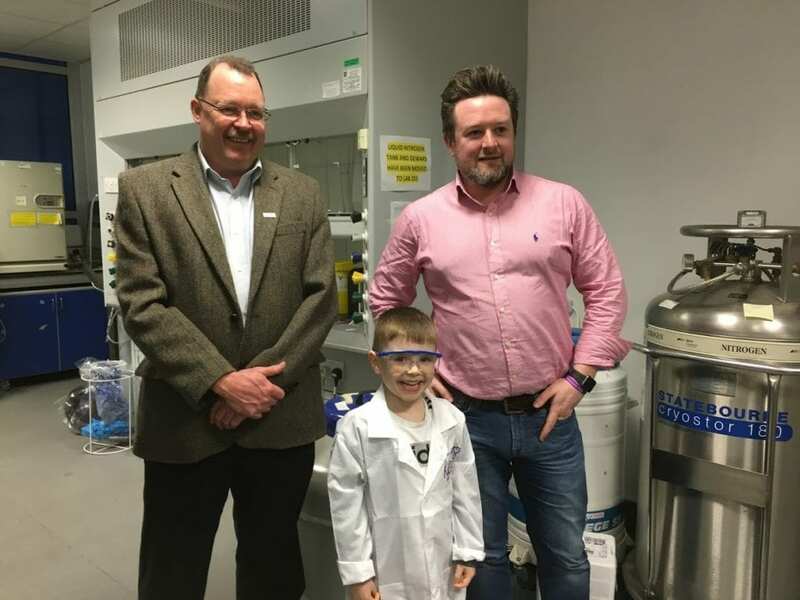 Young seven-year-old Olly Johnson, who attends Abram St John’s CE Primary School, was first diagnosed with acute lymphoblastic leukaemia (ALL) in April 2014 at the age of just 2. He underwent chemotherapy treatment at the Royal Manchester Children’s Hospital, which made him very ill. In total, Olly had to endure 70 nights in hospital and one spell in intensive care before he finished his intensive treatment in November 2014. As a result of having no Leukemia cells in his bone marrow Olly commenced maintenance therapy. This particularly therapy entailed him having daily oral chemotherapy as well as undertaking fortnightly blood tests. It was only until July 2017 where he was able to ring the bell to signify the end of his treatment that this stopped. He now only has blood tests as a precaution every three months. As a result of his extreme bravery Kidscan would like to announce Olly as one of their new patient ambassadors. Olly is also a friend of fellow patient ambassador Charlotte Jennings, who I’m sure will welcome him into the team with open arms. 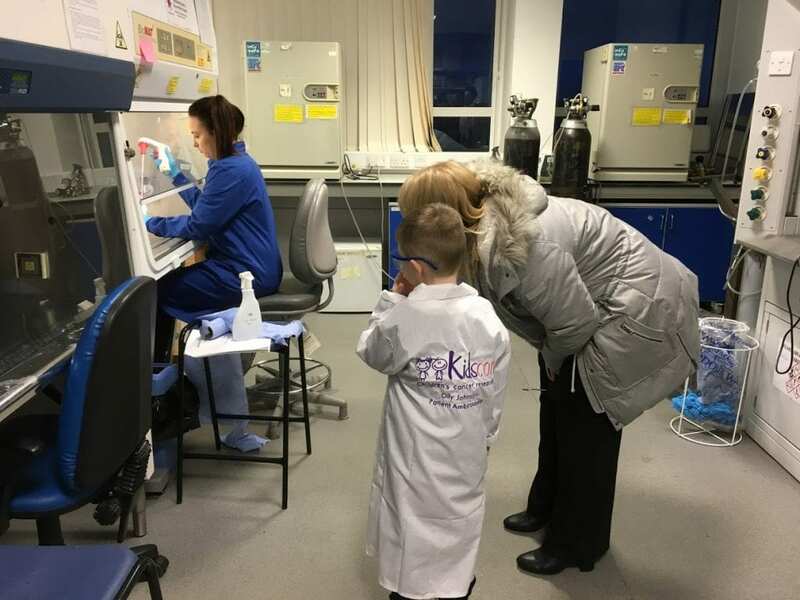 To celebrate his achievement, science mad Olly attended a welcome tour at the University of Salford where he explored the Universities laboratories. He was also presented with his very own Kidscan Patient Ambassador Lab coat!